Posted by Yilan in Bulgaria, Turkey, Turkish minority of Bularia. The Deputy Chair of DPS and Member of the Parliament, Lyutvi Mestan, warns Bulgaria’s ethnic Turks are notifying Europe about Muslims rights violations in the country. The ethic Turkish party Movement for Rights and Freedoms (DPS) is going to file a complaint with the EC and PACE on the issue with the Chief Mufti in Bulgaria. A letter will be send to Viviane Reding, EC Vice-President and Commissioner for Justice, Fundamental Rights and Citizenship, and to the Parliamentary Assembly of the Council of Europe about Nedim Gendzhev‘s attempts to be reinstated at the post, the Deputy Chair of DPS and Member of the Parliament, Lyutvi Mestan said Tuesday. Mestan pointed out that months ago all institutions in Bulgaria were notified about the issue, including the Parliament, but the situation is now at a critical point and DPS must express its official position before Europe. Mestan said that on September 3, just ahead of the Friday prayer, an attempt has been made to seize the Chief Mufti Office by force by paid bodyguards, while on September 14, the building of the Regional Mufti Office in the city of Razgrad has been attacked. In the latter case the security guards were employees of the company owned by the Regional Coordinator of the far-right, nationalist Ataka party who confiscated the keys to the mosque. The DPS Deputy Chair stated the fact a member of a party known for its anti-Muslim and anti-Minority policies controls the mosque is unprecedented and an outrage. In addition to plans to notify EU authorities, Mestan reported DPS have proposed amendments to the Religions Act aiming to instate no interference in any religion in Bulgaria. The Muslim community in Bulgaria generally consists of two large groups – ethnic Turks and ethnic Bulgarian Muslims (known as “Pomaks”). Some ethnic Roma and immigrants from Arab countries also belong to the Bulgarian Muslim community. The leadership of Bulgaria’s ethnic Turkish party Movement for Rights and Freedoms is challenging the results of the summer 2009 general elections in Bulgaria. The picture shows Hristo Biserov (l) and Lyutvi Mestan. Bulgaria’s ethnic Turkish party Movement for Rights and Freedoms (DPS) has filed a complaint with the European Human Rights Court in Strasbourg contesting the results of the 2009 general elections. The information was reported Wednesday by the Bulgarian daily “Sega” (Now), citing sources from the party’s leadership. The edition also quotes prominent and experienced in human rights cases Bulgarian lawyer, Emil Ekimdzhiev, who said DPS can claim its Members of the Parliament, whose election was annulled, suffered moral damages along with the entire political organization. According to Ekimdzhiev, in similar cases the Court awards EUR 10 000 in compensations. He, however, declined commenting on eventual political consequences from the outcome of the trial, only saying such cases usually drag on for 6 to 7 years and that he had been invited as council, but had rejected the offer. 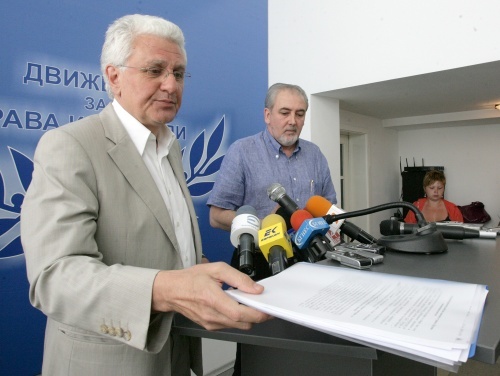 The complaint stems from the April 2, 2010 refusal of the Constitutional Court to launch a trial in the case of the reshuffle of several MPs terms as a result from a law suit filed by the conservative Order, Law and Justice (RZS) party. 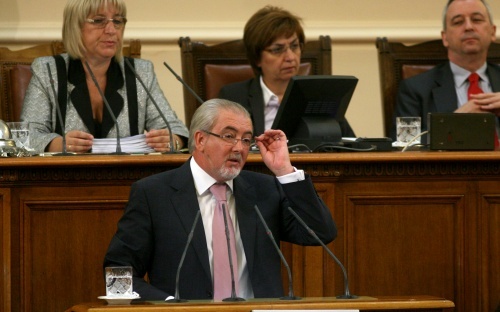 Due to the reshuffle, DPS lost one parliamentary seat while the ruling, center-right Citizens for European Development of Bulgaria (GERB) party gained one. The claim with the Strasbourg Court is based on the Human Rights Convention articles, regulating the right of a due process and defense and the right to use effective legal means before the national authorities. The ethnic Turkish party complained their position had not been heard by the Court as early as the RZS trial was going on, saying they were refused the right of defense and due process. DPS further say striking 18 000 votes cast in neighboring Turkey only because the protocols were not signed violates the right of free elections. The northeastern city of Shumen. 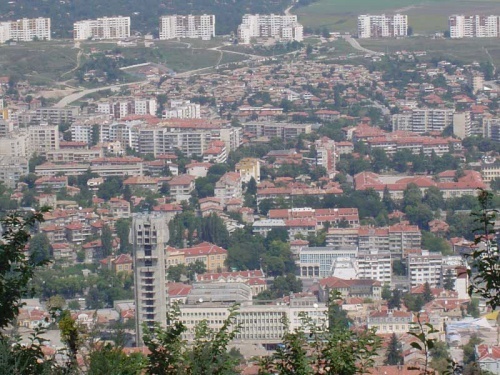 Several cases of ethnic Turks requesting to adopt Bulgarian Christian names have drawn public attention in the northeastern city of Shumen. Persons bearing Turkish names such as Hyusein, Sinan, or Bulent, requested to change them to Valentin, Neven, or Sevdalin. The some dozen of requests or so have caused a public reaction of surprise as the bear reminiscence to the notorious “Revival Process” (or “Regeneration Process”), the 1980s campaign of the Bulgarian Communist Party to assimilate both ethnic Bulgarian Muslims (also known as Pomaks) and ethnic Turks by forcing them to adopt Slavic-sounding names. Historians and researchers believe the main motivation of communist dictator Todor Zhivkov for that was to invent an enemy in the face of the Turkish minority in order to channel social discontent as the regime ran increasingly stagnant economically and politically by the late 1980s. The result of the “Revival Process” was that some 200-300 000 Bulgarian Turks emigrated to Turkey, with about half of them returning to Bulgaria shortly after the regime collapsed in 1989. The requests by the Bulgarian citizens of Turkish origin coming from the region of Shumen have baffled everybody. Their explanations for their requests have been that all of their friends know them by their “Bulgarian” names as they were children in the 1980s, and that they spoke Bulgarian at home. Some have suggested that when traveling in the EU with their Bulgarian passports and IDs, they have been viewed negatively because of their Turkish/Muslim names. The several requests were made independently by people who are not related and come from different towns and villages in the region. Some have shared that they were in fact getting back their “old” names, i.e. the ones they grew up with in 1980s, and that it was their fathers who changed their names to Muslim ones back in 1990 without even asking them. Shumen judge Kalin Koleshanski, who had to hear the name-changing requests, and to decide whether to approve them under the Citizen Registration Act, according to the Trud Daily, has refused to comment on the motives of the people but has said that several more such hearings were forthcoming. Observers have suggested that in some similar cases Bulgarian citizens with criminal records change their names in order to be able to travel and live unnoticed elsewhere in the EU but the cases in Shumen do not appear to have anything to do with this practice. 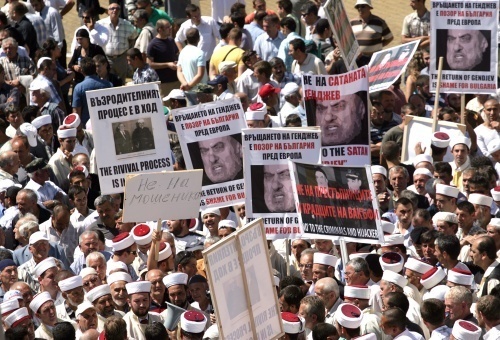 Bulgarian Muslims have organized many protests against the court ruling allowing the reinstatement of former Chief Mufti Nedim Gendzhev. The deputy head of the Bulgarian ethnic Turkish party DPS and the chair of the Parliamentary Assembly of the Council of Europe (PACE) have discussed the situation with the appointment of a Chief Mufti of the Bulgarian Muslims. Yunal Lyutfi and the PACE President, Mevlut Cavusoglu, have met in Ankara, where the latter was introduced to the concerns of DPS and the Bulgarian Muslims about the court ruling that allows the reinstatement of former Chief Mufti Nedim Gendzhev, who appears to be resented by many Muslims in Bulgaria because of his alleged involvement in controversial practices. Lyutfi has given Cavusoglu a letter from the Bulgarian Muslims, in which they state their outrage and insist that the problem be solved soon and in compliance with their demands. The PACE President has stated that he was informed about the problems, which the Bulgarian Muslim community faces, and that he would follow closely the development of the issue. The Bulgarian Muslim community has been agitated since the Supreme Court of Cassations confirmed the ruling of the Sofia Appellate Court, which allows the reinstatement of Gendzhev. The ruling has announced as invalid the decision of the National Muslim Conference from 2008, during which Mustafa Alish Hadzhi was elected as a Chief Mufti. The Bulgarian ethnic Turkish party DPS has already announced it will approach the EU Justice Commissioner Viviane Reding and PACE on the issue. The issue was also discussed between the Bulgarian Foreign Minister Nikolay Mladenov and his Turkish counterpart Ahmet Devutoglu on Friday. Earlier, Bulgaria Muslims met with the Bulgarian chief prosecutor Boris Velchev and asked him to help make the conference that announced Mustafa Alish Hadzhi as the Chief Mufti legal before the court. The Bulgarian PM Boyko Borisov has already announced that the state will not take sides in the arguments. Turkish Foreign Minister Davutoglu (left sitting) is pictured here in Plovdiv with Bulgarian Foreign Minister Mladenov (right, sitting) in March 2010. The foreign ministers of Bulgaria and Turkey have discussed the situation with the appointment of a Chief Mufti of the Bulgarian Muslims. This occurred at the Balkan reception hosted by Turkey in New York City, after the Bulgarian Prime Minister Boyko Borisov allegedly snubbed the form of the event leaving his dinner untouched, with only his Foreign Minister Nikolay Mladenov remaining to represent Bulgaria. After that Mladenov had a meeting with his Turkish counterpart Ahmet Davutoglu, which made headlines in Turkish newspapers on Friday. “This is a question which can be resolved within the friendly relations between Bulgaria and Turkey. It should not be causing any crises. There will definitely be a solution to this problem,” Davutoglu is quoted as saying after the meeting. He has not made it clear how exactly Turkey plans to participate in resolving an issue that refers only to the Muslim community in Bulgaria. The Bulgarian Muslim community has been agitated for months over a court ruling that allowed the reinstatement of former Chief Mufti Nedim Gendzhev, who appears to be resented by many Muslims in Bulgaria because of his alleged involvement in controversial practices. The Muslim community in Bulgaria generally consists of two large groups – ethnic Bulgarian Muslims (known as “Pomaks”) and ethnic Turks. Some ethnic Roma and an increasingly large number immigrants from Arab countries also belong to the Bulgarian Muslim community.